Already have clients, and need more licenses for the documentation? 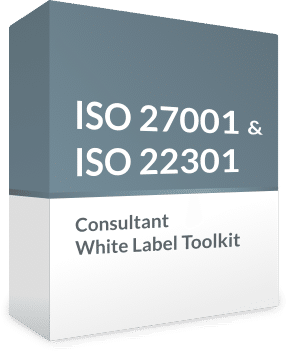 Get our ISO 27001 & ISO 22301 Consultant White Label Toolkit. Why would you develop the policies, procedures, and plans for your clients from scratch? It is time consuming, and you might miss something. We offer all the required documentation so you can focus on talking to your clients and helping them with your experience.